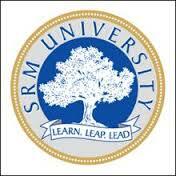 Visit SRMJEE official website and click on New Registration. Enter your Name, Email Id, Mobile Number, and Password. Choose your Center and City to complete registration. Upload Photograph, Signature, and Certificates. Take a printout of this form and keep it for future reference. Candidates who aspire to study in prestigious SRM University appear for SRMJEE 2019 by filling and submitting the application form. Candidates can access the application form from official website. Mode: Aspirants can fill the application form for SRMJEEE #yearonly through online and access it from official website. Availability: Candidates acess the SRMJEEE 2019 Application Form on their website from 28th October 2018. Last Date: Last date to submit application form will be 1st March 2019. Take a Printout: After filling the form completely, candidates must take a printout of filled-in application form for further references. But there is no need to send hard copy of application form to University office. Non- Refundable Application Fee: Application fee for SRMJEEE 2019 is INR 1100/-. Criteria: Candidate has to satisfy the eligibility criteria for SRMJEEE given by the institute to apply for SRMJEEE 2019. Qualification: Candidate has to clear 10+2 level exam from a recognized board. Attempts: Candidate must have cleared the qualifying examination in not more than 2 attempts. Appearance for improvements will also be considered as an attempt. Minimum marks: To apply for SRMJEEE 2019 a candidate is required to score a minimum percentage of 60% in Science subjects. Direct admission: Toppers of State, Central board and top 1,000 IIT JEE Rankers are directly eligible for admissions in SRM University. Highest marks securing candidates in any Tamil Nadu Districts are eligible for direct admissions in SRM University to undergraduate engineering courses. Read the instructions: Candidates willing to appear for SRMJEEE 2019 are advised to read all the Instructions carefully before filling the SRMJEEE 2019 Application Form. Any mistakes can lead to unnecessary problems later. Fill all the details: Once candidate submits Application form he/she will not be allowed to edit given information. Hence, candidates should carefully fill in all details such as Candidate’s Name, Parent’s Name and Date of Birth should be as per Matriculation or Higher Secondary School Examination Certificate and should click submit button only after properly reviewing the filled in SRMJEEE 2019 Application Form. Students can also ask third person to review it for them for any errors or mistakes. Rejection: An incomplete application form will be rejected, to be safe from rejection, candidates must fill SRMJEEE #Application form completely before submitting. SRMJEEE Application form received after the last date will not be accepted. Language: Candidate can fill the SRMJEEE 2019 Application form in English Language only. Candidate must have the copy of SRMJEEE 2019 Application form for future reference. Filling up the form: Candidate has to fill the application form at one go and submit it to get Application Number. Candidates are advised to keep a photocopy of their application form for future reference. Payment: Candidate has to make the online payment of Rs.1100/- which is non-refundable. How do I make corrections to the data I’ve already entered in? The candidate should send us an e-mail to admissions.india@srmuniv.ac.in with the candidate's application number and details of the corrections to be done. The board will take the request under consideration, make the corrections and inform him/her as soon as possible. Yes, it is possible to make corrections to SRMJEE Application Form. But it can be a hassle and a lot of work. When will the application forms for SRMJEEE be issued? The candidates can fill and submit the online application form of SRMJEEE by accessing the official website of SRM University by the beginning of March. How do I check my application status after giving in the application form? You can check up on your application form status by logging onto the official website and your login ID and password.